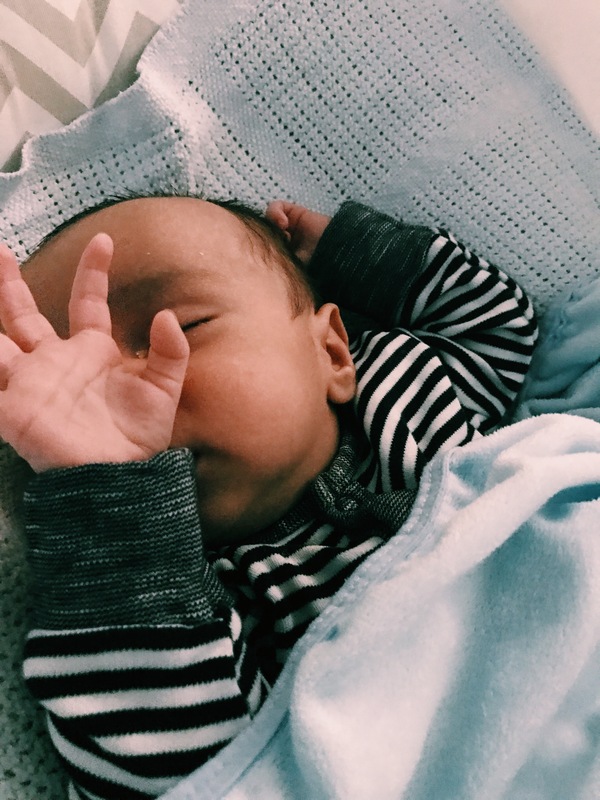 10 Tried and tested ways to get your newborn to sleep – it's a mums word.. I think almost every new mum has a few moments of madness where they just CANNOT get their baby to sleep despite trying everything in the world. And when they finally do sleep you run to the loo, put the kettle on, put some laundry on, then sit down to drink your cup of tea.. and just like magic they wake up! A whole twenty four minutes later! This ordeal is repeated multiple times a day until you are literally ready to tear you hair out. So here I my tried and tested ways of getting a baby to sleep..
Feed to sleep. This is the simplest, easiest method out of them all. Feed your baby until they fall asleep. Simple? Although many books, experts and other mums will tell you that you must absolutely NOT do this and you will ‘make a rod for your own back’ which is why I spent the first 9 months or so with my first little monkey avoiding feeding him to sleep but had an even worse ordeal in doing so. And now, my new little cutie will not feed to sleep and I so wish he would! Typical! Go for a stroll. This is a win win all round, baby gets fresh air and so do you (and a chance to burn some calories in an attempt to lose some baby weight.. only to go home and destroy a whole pack of chocolate biccys after 😂), and they will peacefully nod off. The only problem is if you have cheeky monkeys like me you have to keep walking the entire time you want them to stay asleep, otherwise they wake up the minute you stop! Take a drive. This is perfect if your feeling to lazy to go for a walk or the weather is rubbish or your so shattered from trying everything else. But again, my monkeys will wake the moment the car stops! Wrap your baby. This worked like a dream when my baby was first born. I could pop him in my ring sling, carry on with chores and he would be asleep in minutes. But now he’s older he screams and screams when I attempt to put him in and my toddler is sat in the pram ready to go and gets impatient so when we attempt this we end up in a full blown disaster. Rocking.. This is another one that the ‘mum police’ will tell you to avoid unless you want to be rocking your child until they get married! But if it works you’ll do anything to get them to sleep when you so desperately want them too! You could also add in some humming and singing for quicker results. Humming or singing. Some babies will sleep to just music with no rocking involved.. worth a try! A bouncer/ swing. Your baby may weell fall asleep in these, perhaps with some encouragement (meaning rocking/ bouncing it so much it never stops). Mine very rarely did or do. Swaddling. This apparently works like a dream, if only you can figure how to swaddle without annoying your baby so much they are no longer tired from all the crying! White noise.. such a good way to calm down a screaming and overtired baby. You tube has many noises to choice from, or you can even just switch the tap on :). My baby seems to know the difference between ‘real’ white noise (the rap running) and ‘fake’ sounds on you tube, which my husband is rather unimpressed with as we have a water meter.. hmm. You’ll be pleased to know, this mainly applies to the fourth trimester, after that, its easier to predict when you baby will be tired, and therefore easier to get them to sleep in a more ‘normal’ manner. So hang in there mama’s those first three months go quickly, and then you move on to new challenges!